The foundation of the Social Democratic Party of Germany (German: Sozialdemokratische Partei Deutschlands, SPD) can be traced back to the 1860s, and for much of the 20th and 21st centuries it has represented the centre-left in German politics. The SPD has been the ruling party at several points, first under Friedrich Ebert in 1918. The party was outlawed in Nazi Germany but returned to government in 1969 with Willy Brandt. Meanwhile, the East German branch of the SPD was merged with the ruling KPD. In the modern Federal Republic of Germany, the SPD are the second largest party after the CDU and are currently (as of 2017) in government as a junior coalition partner to Chancellor Angela Merkel's CDU. The SPD last held the chancellorship under Gerhard Schröder from 1998 to 2005. The party was founded on May 23, 1863, by Ferdinand Lassalle under the name Allgemeiner Deutscher Arbeiterverein (ADAV, General German Workers' Association). In 1869, August Bebel and Wilhelm Liebknecht founded the Sozialdemokratische Arbeiterpartei (SDAP, Social Democratic Workers' Party of Germany), which merged with the ADAV at a conference held in Gotha in 1875, taking the name Socialist Workers' Party of Germany (SAPD). At this conference, the party developed the Gotha Program, which Karl Marx criticized in his Critique of the Gotha Program. Through the Anti-Socialist Laws, Otto von Bismarck had the party outlawed for its pro-revolution, anti-monarchy sentiments in 1878; but in 1890 it was legalized again. That same year - in its Halle convention - it changed its name to Sozialdemokratische Partei Deutschlands (SPD), as it is known to this day. Anti-socialist campaigns were counterproductive. 1878–90 was the SPD's 'heroic period'. The party's new program drawn up in 1891 at Halle was more radical than 1875's Gotha program. From 1881 to 1890 the party's support increased faster than in any other period. In 1896, the National Liberals and Conservatives in Saxony replaced the democratic vote with a Prussian-style three-tiered suffrage, upper class votes counting the most. They did this to drive out the local SPD which lost its last seat in 1901. However, in the 1903 election the number of socialist deputies increased from 11 to 22 out of 23. Because Social Democrats could be elected as list-free candidates while the party was outlawed, SPD continued to be a growing force in the Reichstag, becoming the strongest party in 1912 (in imperial Germany, the parliamentary balance of forces had no influence on the formation of the cabinet). During this period, SPD deputies in the Reichstag were able to win some improvements in working and living conditions for working-class Germans, thereby advancing the cause of its policies in a general way and securing material benefits for its supporters. In the Landtag, the SPD was able to extract some concessions from time to time in areas for which the assembly was responsible, such as education and social policy. In Hesse, the party was successful in demanding that church tax be listed separately in assessments, and it was able to secure improvements in judicial procedure. The SPD also had occasional successes in raising wages and improving the working conditions of municipal labourers. SPD pressure in the Reichstag in the late nineteenth century supported an expansion in the system of factory inspection, together with a minor reform in military service under which the families of reservists, called up for training or manoeuvres, could receive an allowance. In the 1880s, SPD deputies in Saxony successfully agitated in support of improved safety for miners and better control of mines. In 1908, the same year the government legalized women's participation in politics, Luise Zietz became the first woman appointed to the executive committee of the SPD. Growth in strength did not initially translate into larger numbers in the Reichstag. The original constituencies had been drawn at the empire's formation in 1871, when Germany was almost two-thirds rural. They were never redrawn to reflect the dramatic growth of Germany's cities in the 1890s. By the turn of the century, the urban-rural ratio was reversed, and almost two-thirds of all Germans lived in cities and towns. Even with this change, the party still managed to become the largest single faction in the Reichstag at the 1912 elections. It would be the largest party in Germany for the next two decades. In the states of Bavaria, Wurttemberg, Hesse, and Baden, the SPD was successful in extracting various socio-political and democratic concessions (including the replacement of the class-based electoral systems with universal suffrage) through electoral alliances with bourgeois parties, voting for parliamentary bills and state budgets. In the Reichstag, the SPD resorted to a policy of tactical compromise in order to exert direct influence on legislation. In 1894, the parliamentary SPD voted for a government bill for the first time ever. It reduced the import duty on wheat, which led to a reduction in the price of food. In 1913, the votes of SPD parliamentarians helped to bring in new tax laws affecting the wealthy, which were necessary due to the increase in military spending. As a reaction to government prosecution, the Erfurt Program of 1891 was more radical than the Gotha Program of 1875, demanding nationalization of Germany's major industries. However, the party began to move away from revolutionary socialism at the turn of the 20th century. Bernstein authored a series of articles on the Problems of Socialism between 1896 and 1898, and later a book, Die Voraussetzungen des Sozialismus und die Aufgaben der Sozialdemokratie ("The Prerequisites for Socialism and the Tasks of Social Democracy"), published in 1899, in which he argued that the winning of reforms under capitalism would be enough to bring about socialism. Radical party activist Rosa Luxemburg accused Bernstein of revisionism and argued against his ideas in her pamphlet Social Reform or Revolution, and Bernstein's program was not adopted by the party. Conservative elites nevertheless became alarmed at SPD growth--especially after it won 35% of the national vote in the 1912 elections. Some elites looked to a foreign war as a solution to Germany's internal problems. SPD policy limited antimilitarism to aggressive wars--Germans saw 1914 as a defensive war. On 25 July 1914, the SPD leadership appealed to its membership to demonstrate for peace and large numbers turned out in orderly demonstrations. The SPD was not revolutionary and many members were nationalistic. When the war began, some conservatives wanted to use force to suppress the SPD, but Chancellor Bethmann-Hollweg wisely refused. However, the increasing loyalty of the party establishment towards Emperor and Reich, coupled with its antipathy toward Russia led the party under Bebel's successor Friedrich Ebert to support the war. The SPD members of parliament voted 96-14 on 3 August 1914 to support the war. They next voted the money for the war, but resisted demands for an aggressive peace policy that would involve takeover of new territories. There remained an antiwar element especially in Berlin. They were expelled from the SPD in 1916 and formed the Independent Social Democratic Party of Germany. Bernstein left the party during the war, as did Karl Kautsky, who had played an important role as the leading Marxist theoretician and editor of the theoretical journal of SPD, “Die Neue Zeit”. Neither joined the Communist party after the war; they both came back to the SPD in the early 1920s, From 1915 on theoretical discussions within the SPD were dominated by a group of former anti-revisionist Marxists, who tried to legitimize the support of the First World War by the German SPD group in the Reichstag with Marxist arguments. Instead of the class struggle they proclaimed the struggle of peoples and developed much of the rhetoric later used by Nazi propaganda (“Volksgemeinschaft” etc.). The group was led by Heinrich Cunow, Paul Lensch and Konrad Haenisch (“Lensch-Cunow-Haenisch-Gruppe”) and was close to the Russian-German revolutionary and social scientist Parvus, who gave a public forum to the group with his journal “Die Glocke”. From the teachings of Kurt Schumacher and Professor Johann Plenge, there is a link to the current right-wing “Seeheimer Kreis” within the SPD founded by Annemarie Renger, Schumacher's former secretary. Those against the war were expelled from the SPD in January 1917 (including Rosa Luxemburg, Karl Liebknecht and Hugo Haase) - the expelees went on to found the Independent Social Democratic Party of Germany, in which the Spartacist League was influential. In the 1918 revolution, Ebert controversially sided with the Imperial Army command against communists, while the Reichstag elected him as head of the new government. A revolutionary government met for the first time in November 1918. Known as the Council of People's Commissioners, it consisted of three Majority Social Democrats (Friedrich Ebert, Philipp Scheidemann, and Otto Landsberg) and three United Social Democrats (Emil Barth, Wilhelm Dittman, and Hugo Haase). The new government faced a social crisis in the German Reich following the end of the First World War, with Germany threatened by hunger and chaos. There was, for the most part, an orderly return of soldiers back into civilian life, while the threat of starvation was combated. Wage levels were raised, universal proportional representation for all parliaments was introduced, and a series of regulations on unemployment benefits, job-creation and protection measures, health insurance, and pensions saw the institution of important political and social reforms. In February 1918, workers made an agreement with employers which secured them total freedom of association, the legal guarantee of an eight-hour workday, and the extension of wage agreements to all branches of trade and industry. The People's Commissioners made these changes legally binding. In addition, the SPD-steered provisional government introduced binding state arbitration of labor conflicts, created worker's councils in large industrial firms, and opened the path to the unionization of rural labourers. In December 1918, a decree was passed providing relief for the unemployed. This provided that communities were to be responsible for unemployment relief (without fixing an amount) and established that the Reich would contribute 50% and the respective German state 33% of the outlay. That same month, the government declared that labour exchanges were to be further developed with the financial assistance of the Reich. Responsibility for job placement was first transferred from the Demobilization Office to the Minister of Labour and then to the National Employment Exchange Office, which came into being in January 1920. Subsequently, the Social Democratic Party and the newly founded Communist Party of Germany (KPD), which consisted mostly of former members of the SPD, became bitter rivals, not least because of the legacy of the German Revolution. Under Defense Minister of Germany Gustav Noske, the party aided in putting down the Communist and left wing Spartacist uprising throughout Germany in early 1919 with the use of the Freikorps, a morally questionable decision that has remained the source of much controversy amongst historians to this day. While the KPD remained in staunch opposition to the newly established parliamentary system, the SPD became a part of the so-called Weimar Coalition, one of the pillars of the struggling republic, leading several of the short-lived interwar cabinets. The threat of the Communists put the SPD in a difficult position. The party had a choice between becoming more radical (which could weaken the Communists but lose its base among the middle class) or stay moderate, which would damage its base among the working class. Splinter groups formed: In 1928, a small group calling itself Neu Beginnen, in the autumn of 1931, the Socialist Workers' Party of Germany, and in December 1931 the Iron Front. Under Weimar, the SPD was able put its ideas of social justice into practice by influencing a number of progressive social changes while both in and out of government. The SPD re-introduced and overhauled the Bismarckian welfare state, providing protection for the disadvantaged, the unemployed, the aged, and the young. The “Decree on Collective Agreements, Workers’ and Employees’ Committees, and the Settlement of Labour Disputes” of December 1918 boosted the legal effectiveness of collective bargaining contracts, while a number of measures were carried out to assist veterans, including the Decree on Social Provision for Disabled Veterans and Surviving Dependents of February 1919 and the Compensation Law for Re-enlisted Men and Officers of September 1919. The War Victims’ Benefits Law of May 1920 introduced a more generous war-disability system than had existed in the past. This new piece of legislation took into account all grievances voiced during the war and, for the first time in social legislation in Germany, considered child maintenance in calculating widows’ pensions. In 1919, the federal government launched a campaign to recolonize parts of the German interior including in Silesia, and new provisions for maternity were introduced. In February 1920, an industrial relations law was passed, giving workers in industry legally guaranteed representation, together with the right to co-determination in cases of hiring and firing, holiday arrangements, the fixing of working hours and regulations, and the introduction of new methods of payment. A Socialisation Law was also passed, while the government adopted guidelines on the workers' councils. In addition to workers' councils at national, regional, and factory level, the government made provision for economic councils in which employers and employees would work together on matters affecting the economy as a whole (such as nationalisation) and lend support to the Weimar parliament. SPD governments also introduced unemployment insurance benefits for all workers (in 1918), trade union recognition and an eight-hour workday, while municipalities that came under SPD control or influence expanded educational and job-training opportunities and set up health clinics. Off the shop floor, Social Democratic workers took advantage of the adult education halls, public libraries, swimming pools, schools, and low-income apartments built by municipalities during the Weimar years, while considerable wage increases won for the majority of workers by the Free Trade Unions between 1924 and 1928 helped to narrow the gap between unskilled and skilled workers. A number of reforms were also made in education, as characterised by the introduction of the four-year common primary school. Educational opportunities were further widened by the promotion of adult education and culture. The SPD also played an active and exemplary role in the development of local politics in thousands of towns and communities during this period. 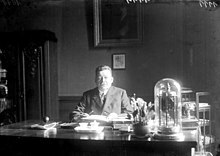 In 1923, the SPD Minister of Finance, Rudolf Hilferding, laid much of the groundwork for the stabilization of the German currency. Protective measures for workers were vastly improved, under the influence or direction of the SPD, and members of the SPD pointed to positive changes that they had sponsored, such as improvements in public health, unemployment insurance, maternity benefits, and the building of municipal housing. During its time in opposition throughout the Twenties, the SPD was able to help push through a series of reforms beneficial to workers, including increased investment in public housing, expanded disability, health, and social insurance programmes, the restoration of an eight-hour workday in large firms, and the implementation of binding arbitration by the Labour Ministry. In 1926, the Social Democrats were responsible for a law which increased maternity benefit "to cover the cost of midwifery, medical help and all necessary medication and equipment for home births." In Prussia, (which became an SPD stronghold following the introduction of universal suffrage) an important housing law was passed in 1918 which empowered local authorities to erect small dwellings and buildings of public utility, provide open spaces, and enact planning measures. The law further directed that all districts with more than 10,000 inhabitants had to issue police ordinances regarding housing hygiene. In addition, a reform in education was carried out. Similar measures were introduced in other areas subjected to the influence of the SPD, with the Reich (also under the influence of the SPD) controlling rents and subsidising the construction of housing. During the Weimar era, the SPD held the chancellorship on two occasions, first from 1918 to 1920, and then again from 1928 to 1930. Through aggressive opposition politics, the SPD (backed by the union revival linked to economic upsurge) was able to effect greater progress in social policy from 1924 to 1928 than during the previous and subsequent periods of the party's participation in government. In Prussia, the SPD was part of the government from 1918 to 1932, and for all but nine months of that time (April–November 1921 and February–April 1925), a member of the SPD was minister president. The SPD's last period in office was arguably a failure, due to both its lack of a parliamentary majority (which forced it to make compromises to right-wing parties) and its inability to confront the Great Depression. In 1927, the defence ministry had prevailed on the government of Wilhelm Marx to provide funds in its draft budget of 1928 for the construction of the first of six small battleships allowed for under the treaty of Versailles, although the Federal Council (largely for financial reasons) stopped this action. This issue played a major role during the 1928 election campaign, with supporters of the proposal arguing that all the possibilities left for German armaments should be fully used, while the SPD and the KPD saw this as a wasteful expenditure, arguing that such money should instead be spent on providing free meals for schoolchildren. The SPD's lack of a parliamentary majority (which prevented it from undertaking any major domestic reform) meant that, in order to hold the coalition together, Hermann Müller and the other SPD ministers were forced to make concessions on issues such as taxation, unemployment insurance, and the construction of pocket battleships. Party chairman Otto Wels demanded that the funds be spent on free school meals as had been promised during the election campaign. However, against the wishes and votes of Wels and the other SPD deputies, the SPD ministers in Müller's cabinet (including Müller himself) voted in favour of the first battleship being built, a decision that arguably destroyed the party's credibility. Müller's SPD government eventually fell as a result of the catastrophic effects of the Great Depression. Müller's government, an ideologically diverse “Grand Coalition” representing five parties ranging from the left to the right, was unable to develop effective counter-measures to tackle the catastrophic effects of the economic crisis, as characterised by the massive rise in the numbers of registered unemployed. In 1928–29, 2.5 million were estimated to be unemployed, a figure that reached over 3 million by the following winter. A major problem facing Müller's government was a deficit in the Reich budget, which the government spending more than it was receiving. This situation was made worse by the inadequacy of the unemployment scheme which was unable to pay out enough benefits to the rising numbers of unemployed, forcing the government to make contributions to the scheme (which in turn worsened the budget deficit). The coalition was badly divided on this issue, with the SPD wishing to raise the level of contributions to the scheme while safeguarding both those in work and those out of work as much as possible. The right-wing parties, by contrast, wished to reduce unemployment benefits while lightening the tax burden. Unable to garner enough support in the Reichstag to pass laws, Müller turned to Hindenburg for support, wishing him to grant him the use of the emergency powers under Article 48 of the Weimar Constitution so that he did not have to rely on support from the Reichstag. On July 20, 1932, the SPD-led Prussian government in Berlin, headed by Otto Braun, was ousted by Franz von Papen, the new Chancellor, by means of a Presidential decree. Following the appointment of Adolf Hitler as chancellor on January 30, 1933 by president Hindenburg, the SPD received 18.25% of the votes during the last (at least partially) free elections on March 5, gaining 120 seats. However, the SPD was unable to prevent the ratification of the Enabling Act, which granted extraconstitutional powers to the government. The SPD was the only party to vote against the act (the KPD being already outlawed and its deputies were under arrest, dead, or in exile). Several of its deputies had been detained by the police under the provisions of the Reichstag Fire Decree, which suspended civil liberties. Others suspected that the SPD would be next, and fled into exile. However, even if they had all been present, the Act would have still passed, as the 441 votes in favour would have still been more than the required two-thirds majority. After the passing of the Enabling Act, dozens of SPD deputies were arrested, and several more fled into exile. Those that remained tried their best to appease the Nazis. They voted in favour of Hitler's foreign policy statement of 19 May, in which he declared his willingness to renounce all offensive weapons if other countries followed suit. They also publicly distanced themselves from their brethren abroad who condemned Hitler's tactics. It was to no avail. Over the course of the spring, the police confiscated the SPD's newspapers and property. The party was finally banned on June 19, 1933. The SPD was recreated after World War II in 1946 and admitted in all four occupation zones. In West Germany, it was initially in opposition from the first election of the newly founded Federal Republic in 1949 until 1966. The party had a leftist period and opposed the republic's integration into Western structures, believing that this might diminish the chances for German reunification. The SPD was somewhat hampered for much of the early history of the Federal Republic, in part because the bulk of its former heartland was now in the Soviet occupation sector, which later became East Germany. In the latter area, the SPD was forced to merge with the Communist Party of Germany to form the Socialist Unity Party of Germany (SED) in 1946. The few recalcitrant SPD members were quickly pushed out, leaving the SED as essentially a renamed KPD. In the British Occupation Zone, the SPD held a referendum on the issue of merging with the KPD, with 80% of party members rejecting such a fusion. This referendum was ignored by the newly formed SED. Nonetheless, a few former SPD members held high posts in the East German government. Otto Grotewohl served as East Germany's first prime minister from 1949 to 1964. For much of that time retained the perspective of a left-wing social democrat, and publicly advocated a less repressive approach to governing. Friedrich Ebert, Jr., son of former president Ebert, served as mayor of East Berlin from 1949 to 1967; he'd reportedly been blackmailed into supporting the merger by using his father's role in the schism of 1918 against him. During the fall of Communist rule in 1989, the SPD (first called SDP) was re-established as a separate party in East Germany (Social Democratic Party in the GDR), independent of the rump SED, and then merged with its West German counterpart upon reunification. Despite remaining out of office for much of the postwar period, the SPD were able to gain control of a number of local governments and implement progressive social reforms. As noted by Manfred Schmidt, SPD-controlled Lander governments were more active in the social sphere and transferred more funds to public employment and education than CDU/CSU-controlled Lander. During the mid-sixties, mainly SPD-governed Lander such as Hesse and the three city-states launched the first experiments with comprehensive schools as a means of as expanding educational opportunities. SPD local governments were also active in encouraging the post-war housing boom in West Germany, with some of the best results in housing construction during this period achieved by SPD-controlled Lander authorities such as West Berlin, Hamburg, and Bremen. In the Bundestag, the SPD opposition were partly responsible for the establishment of the postwar welfare state under the Adenauer Administration, having put parliamentary pressure on the CDU to carry out more progressive social policies during its time in office. In the Bundestag, The SPD aspired to be a “constructive opposition,” which expressed itself not only in the role it played in framing the significant amount of new legislation introduced in the first parliamentary terms of the Bundestag, but also in the fact that by far the biggest proportion of all laws were passed with the votes of SPD members. The SPD played a notable part in legislation on reforms to the national pensions scheme, the integration of refugees, and the building of public-sector housing. The SPD also had a high-profile “in judicial policy with the Public Prosecutor Adolf Arndt, in the parliamentary decision on the Federal Constitutional Court, and reparations for the victims of National Socialism.” In 1951, the law on the right of “co-determination” for employees in the steel, iron, and mining industries was passed with the combined votes of the SPD and CDU, and against those of the FDP. In 1966 the coalition of the Christian Democratic Union (CDU) and the liberal Free Democratic Party (FDP) fell and a grand coalition between CDU/CSU and SPD was formed under the leadership of CDU Chancellor Kiesinger. The welfare state was considerably expanded, while social spending was almost doubled between 1969 and 1975. Changes were made to income maintenance schemes which met some of the SPD's long-standing demands, and many other social reforms were introduced, including the equalising of wages and salaries between white-collar and blue-collar employees, the continuation of wage and salary payments, a law to promote employment, and a vocational training law. Although these measures were largely due to the efforts of the CDU minister Hans Katzer, it is arguable that he would never have been able to push his programme through the cabinet (let alone envisage it) without the SPD. The 1969 Employment Promotion Act, which was based largely on a proposal prepared by the SPD in 1966, established active labour market intervention measures such as employment research, and offered “substantial state assistance to employees with educational aspirations.” Under the direction of the SPD Minister of Economics Karl Schiller, the federal government adopted Keynesian demand management for the first time ever. Schiller called for legislation that would provide both his ministry and the federal government with greater authority to guide economic policy. In 1967, Schiller introduced the Law for Promoting Stability and Growth, which was subsequently passed by the Bundestag. Regarded as the Magna Carta of medium-term economic management, the legislation provided for coordination of federal, Lander, and local budget plans in order to give fiscal policy a stronger impact. It also set a number of optimistic targets for four basic standards by which West German economic success would henceforth be measured, which included trade balance, employment levels, economic growth, and currency stability. One of the rare German Keynesians of that era, Schiller believed that government had both “the obligation and the capacity to shape economic trends and to smooth out and even eliminate the business cycle,” and his adopted policy of Keynesian demand management helped West Germany to overcome the economic recession of 1966/67. Unemployment was quickly reduced (standing at just under 1% by Autumn 1968), while industrial output rose by almost 12% in 1968. The successful economic and financial policies pursued by the Grand Coalition under the direction of Schiller was also helped by the persuasion of entrepreneurs and trade unions to accept a programme of “concerted action.” According to Lisanne Radice and Giles Radice, “concerted action” was not a formal incomes policy, but it did nevertheless ensure that collective bargaining took place “within a broadly agreed view of the direction of the economy and the relationships between full employment, output and inflation.” In addition, Schiller's economic policies were not only successful in restoring West Germany's economic growth, but they also demonstrated the SPD's economic competence, and this undoubtedly played a major role in the victory of the SPD in the federal election of 1969. In 1969 the SPD won a majority for the first time since 1928 by forming a social-liberal coalition with the FDP and led the federal government under Chancellors Willy Brandt and Helmut Schmidt from 1969 until 1982. In its 1959 Godesberg Program, the SPD officially abandoned the concept of a workers' party and Marxist principles, while continuing to stress social welfare provision. Although the SPD originally opposed West Germany's 1955 rearmament and entry into NATO while it favoured neutrality and reunification with East Germany, it now strongly supports German ties with the alliance. Employers were obliged to inform their home-based workers concerning the method of calculation and the composition of their pay. In order to increase safety at work the employer was obliged to explain accident risks and dangers to health. Home-based workers were now given the opportunity of making contributions towards asset formation. Protection from dismissal was extended. The periods of notice, which are graduated according to the length of time the worker has been employed, were considerably increased. In addition, the guarantee of payment during the period of notice was consolidated. The agreed wage for the same or equivalent work in industry would be used more than previously as the standard for wage increases for home-based workers. The Law also applied to office work at home, which was becoming increasingly important and substantial. Children's allowances for students up to the age of twenty-seven were introduced, together with a flexible retirement age, new married couples’ and families’ legislation, an extension of co-determination, rehabilitation and special employment rights for the severely handicapped, adjustments and increases in the pensions of war victims, a revision of child benefit, a new youth employment protection law, health insurance for farmers, pension schemes for the self-employed, and guaranteed works’ pensions. Although the principle of the social welfare state was enshrined in the constitution of West Germany, and laws and measures taken (often jointly by the CDU/CSU coalition partners and the SPD) to meet this commitment, it was only when the SPD came to power in Bonn that the provisions of the social welfare system “reached a level which few other countries could equal.” In 1975, three tax levels were introduced that removed many lower-income persons from the tax rolls and raised child benefit payments. Various improvements were also made to health care provision and coverage during the social-liberal coalition's time in office. In 1974, domestic aid during in-patient or in-patient cures was established, sick pay to compensate for wages lost while caring for a child was introduced, and the time-limit to in-patient care was removed. That same year, the cover of rehabilitation services was increased, together with the cover of dental and orthodontic services. Health insurance coverage was extended to self-employed agricultural workers in 1972, and to students and the disabled in 1975. in 1971, an International Transactions Tax Law was passed. In 1974, a number of amendments were made to the Federal Social Assistance Act. "Help for the vulnerable" was renamed "help for overcoming particular social difficulties," and the number of people eligible for assistance was greatly extended to include all those "whose own capabilities cannot meet the increasing demands of modern industrial society." The intention of these amendments was to include especially such groups as discharged prisoners, drug and narcotic addicts, alcoholics, and the homeless. Under the SPD, people who formerly had to be supported by their relatives became entitled to social assistance. In addition, the recreational and residential value of towns (building schools, training institutions, baths, sports facilities, Kindegarten etc.) was increased from 1970 with the help of a new programme. A number of liberal social reforms in areas like censorship, homosexuality, divorce, education, and worker participation in company management were introduced, whilst social security benefits were significantly increased. Increases were made in unemployment benefits, while substantial improvements in benefits were made for farmers, students, war invalids, the sick, families with many children, women, and pensioners between 1970 and 1975, which led to a doubling of benefit and social security payments during that period. By 1979, old age and survivors’ benefits were 53% higher in real terms than in 1970, while family benefits were 95% higher. The Second Sickness Insurance Modification Law linked the indexation of the income-limit for compulsory employee coverage to the development of the pension insurance contribution ceiling (75% of the ceiling), obliged employers to pay half of the contributions in the case of voluntary membership, extended the criteria for voluntary membership of employees, and introduced preventive medical check-ups for certain groups. The Law on Sickness Insurance for Farmers (1972) included the self-employed, their dependants and people who receive old age assistance in sickness insurance. The Law on the Social Insurance of Disabled Persons (1975) included in sickness and pension insurance disabled persons employed in workshops and institutions under certain conditions, while a law was passed in June that year to include all students in statutory sickness insurance. Social protection against the risks of an occupational accident, death, disability, and old age was newly regulated in 1974 through a Civil Servant Provisioning Law that was standard throughout the country. A more active regional and industrial policy was pursued, tighter rules against dismissal were introduced, day care was introduced for children between the ages of three and six, spending on dental services, drugs, and appliances was increased, environmental protection legislation was passed, expenditure on education at all levels was increased, a tax reform bill was passed, lowering the tax burden for low-income and middle-income groups, the average age of entry into the workforce was increased, working time was reduced, social assistance and unemployment compensation were made more generous, early-retirement options were introduced, and municipalities received more generous federal grants to expand social infrastructure such as conference halls, sports facilities and public swimming pools. Various measures were introduced to improve environmental conditions and to safeguard the environment, the Federal Emission Control Law established the basis for taking of legal action against those responsible for excessive noise and air pollution, the Works’ Constitution Act and Personnel Representation Act strengthened the position of individual employees in offices and factories, and the Works’ Safety Law required firms to employ safety specialists and doctors. An amendment to the Labour Management Act (1971) granted workers co-determination on the shop floor while the new Factory Management Law (1972) extended co-determination at the factory level. This Act acknowledged for the first time the presence of trade unions in the workplace, expanded the means of action of the works councils, and improved their work basics as well as those of the youth councils. A law was passed in 1974 allowing for worker representation on the boards of large firms, although this change was not enacted until 1976, after alterations were made. In 1974, redundancy allowances in cases of bankruptcies were introduced. The Federal Law on Personnel Representation, which came into force in April 1974, gave increased co-management rights to those employed in factories and offices in the public sector. The staff councils were given an increased say in social and personal matters, together with a wider operational basis for their activities in connection with day release and training opportunities. The arrangements governing cooperation between the staff councils and the trade union were also improved. Young workers were given increased rights of representation, while foreign workers received voting rights and thus achieved equality in this respect with German employees. A new federal scale of charges for hospital treatment and a law on hospital financing were introduced to improve hospital treatment, the Hire Purchase Act entitled purchasers to withdraw from their contracts within a certain time limit, compensation for victims of violent acts became guaranteed by law, the Federal Criminal Investigation Office became a modern crime-fighting organisation, and the Federal Education Promotion Act was extended to include large groups of pupils attending vocational schools. In 1973, the minimum statutory retirement age was reduced from 65 to 63, while “flexible” retirement was provided for those between the ages of 63 and 67. In 1974, a federal law was passed that obliged television stations to spend certain amounts of money each year to sponsor productions by independent film companies. A law to improve the system of sickness benefits provided that those insured would receive compensation when obliged to stay at home to care for a sick child and thereby incurring a loss of income. An insured person could request unpaid leave of absence on such occasions. The same law established the right to a home help, to be paid for by the health service, where the parents are in hospital or undergoing treatment, provided that the household included a child under 8 or a handicapped child required special care. The SPD-FDP coalition's time in office also saw a considerable expansion in the number of childcare places for three- to six-year-old children, with the number of facilities rising from 17,493 in 1970 to 23,938 in 1980, and the number of places from 1,160,700 to 1,392,500 during that same period. Subsidies for day care rose between 1970 and 1980, but fell between 1980 and 1983. In the field of housing, Brandt stated that the aims of the SPD-FDP government were improving housing benefit, developing a long-term programme of social housing construction, and to increase owner-occupation. As noted by Mark Kleinman, this led to a boom in housing construction, with output peaking at 714,000 in 1973 before falling to under 400,000 in 1976. A Federal Education Grants Act was also introduced, which opened up better chances of higher education for low-income children. In addition, labor-protection and anti-trust laws were significantly strengthened, while from 1969 to 1975 alone some 140 laws were passed that entitled various socially disadvantaged groups to tax subsidies. During the mid-Seventies recession, eligibility for short-term unemployment benefits was extended from 6 to 12 months, and to 24 months in some cases. Active Labour Market Policies were substantially expanded, with the number of people benefiting from such schemes increasing from 1,600 in 1970 to 648,000 by 1975. In addition, the SPD-FDP government gave more priority to raising minimum housing standards. The Law on Nursing Homes and Homes for the Elderly (1974) sought to guarantee minimum standards in an important area of social services, while the Beratungshilfegesetz (Legal Advice Act) of 1980 strengthened the position of the indigent in need of out of court legal advice and representation. The Maternity Leave Act of 1979 permitted mothers in work to take leave of 6 months after the birth of a child, granted a maternity allowance, and safeguarded jobs for 8 months. Wage rates also rose significantly under the coalition, as characterised by a 60% real increase in the hourly wages of manufacturing sector employees between 1970 and 1980. In addition, educational opportunities were significantly widened as a result of policies such as the introduction of free higher education, the raising of the school-leaving age to 16, increased expenditure on education at all levels, and the introduction of a generous student stipend system. Although the coalition failed to restructure the education system along comprehensive lines, the cumulative impact of its educational reforms was such that according to Helmut Becker (an authoritative commentator on German education), there was greater achievement at all levels and the chances of a twenty-year-old working-class child born in 1958 going to college or university was approximately six times greater than a similar child born ten years earlier. “There were few difficulties with the wave of domestic reforms, which the SPD-led coalitions initiated. In fact, the SPD’s domestic reform program was often compared with contemporary American developments, like such as civil rights movement and the Great Society” . In 1982 the SPD lost power to the new CDU/CSU-FDP coalition under CDU Chancellor Helmut Kohl who subsequently won four terms as chancellor. The Social Democrats were unanimous about the armament and environmental questions of that time, and the new party The Greens was not ready for a coalition government then. Kohl lost his last re-election bid in 1998 to his SPD challenger Gerhard Schröder, as the SPD formed a red-green coalition with The Greens to take control of the German federal government for the first time in 16 years. A number of progressive measures were introduced by the Schröder Administration during its first term in office. The parental leave scheme was improved, with full-time working parents legally entitled to reduce their working hours from 2001 onwards, while the child allowance was considerably increased, from 112 euros per month in 1998 to 154 euros in 2002. Housing allowances were also increased, while a number of decisions by the Kohl Government concerning social policy and the labour market were overturned, as characterised by the reversal of retrenchments in health policy and pension policy. Changes introduced by the Kohl government on pensions, the continued payment of wages in the case of sickness, and wrongful dismissal were all rescinded. In 1999, for instance, the wage replacement rate for sick pay (which was reduced from 100% to 80% of earnings under the previous Kohl Government) was restored to 100%. A programme on combating youth unemployment was introduced, together new measures designed to out a stop to those designating themselves as “self-employed” for tax purposes, and new regulations on 630-DM jobs, which were subject for the first time to national insurance contributions. Tax reforms brought relief to people on low-incomes and benefited families, while a second pillar was added to the pension system which relied on self-provision for retirement. In the September 2002 elections, the SPD reached 38.5% of the national vote, barely ahead of the CDU/CSU, and was again able to form a government with the help of The Greens. The European elections of 2004 were a disaster for the SPD, marking its worst result in a nationwide election after World War II with only 21.5% of the vote. Earlier the same year, leadership of the SPD had changed from chancellor Gerhard Schröder to Franz Müntefering, in what was widely regarded as an attempt to deal with internal party opposition to the economic reform programs set in motion by the federal government. While the SPD was founded in the 19th century to defend the interests of the working class, its commitment to these goals has been disputed by some since 1918, when its leaders supported the suppression of more radical socialist and communist factions during the Spartacist Uprising. But never before has the party moved so far away from its traditional socialist stance as it did under the Schröder government. Its ever-increasing tendency towards liberal economic policies and cutbacks in government spending on social welfare programs led to a dramatic decline in voter support. The Schroeder Administration presided over a significant rise in poverty and inequality, with the percentage of Germans living in poverty, according to one measure, rising from 12% in 2000 to 16.5% in 2006. Welfare cuts, which affected mainly the SPD's clientele, led to disillusionment amongst supporters and precipitated a fall in party membership. For many years, membership in the SPD had been declining. Down from a high of over 1 million in 1976, there were about 775,000 members at the time of the 1998 election victory, and by February 2008, the figure had dropped to 537,995. By early 2009, membership figures had fallen behind the ones of the CDU for the first time ever. “For nuclear phase-out, against new nuclear plants.” Election placard of the Social Democratic Party of Germany for the German federal election, 2005. In January 2005, some SPD members left the party to found the Labour and Social Justice – The Electoral Alternative (WASG) in opposition to what they consider to be neoliberal leanings displayed by the SPD. Former SPD chairman Oskar Lafontaine also joined this new party. (Later, to contest the early federal election called by Schröder after the SPD lost heavily in a state election in their traditional stronghold of North Rhine-Westphalia, the western-based WASG and the eastern-based post-communist Party of Democratic Socialism would merge to form The Left Party, (Die Linke.) These developments put pressure on the SPD to do something about its social image. In April 2005, party chairman Franz Müntefering publicly criticized excessive profiteering in Germany's market economy and proposed stronger involvement of the federal state in order to promote economic justice. This triggered a debate that dominated the national news for several weeks. Müntefering's suggestions have been met with popular support, but there has also been harsh criticism not only by the industrial lobby. Political opponents claimed that Müntefering's choice of words, especially his reference to private equity funds as “locusts”, were bordering on Nazi language. In the German federal election, 2005, the SPD ended up trailing its rivals by less than 1%, a much closer margin than had been expected. Although the party had presented a program that included some more traditional left themes, such as an additional 3% tax on the highest tax bracket, this did not prevent the Left Party from making a strong showing, largely at the SPD's expense. Nevertheless, the overall result was sufficient to deny the opposition camp a majority. In the current German government, the SPD is now the junior partner in a grand coalition with the CDU/CSU under the leadership of Chancellor Angela Merkel, with Olaf Scholz as Vice-Chancellor. On April 10, 2006 Matthias Platzeck announced his resignation of the Chair because he suffered a major hearing loss in March 2006. The interim Chairman from April 10 to May 14 was Kurt Beck. He won the full leadership on a small party convention on May 14. He resigned on September 7, 2008; on September 8, 2008 the party's executive committee nominated Franz Müntefering to be elected as chairman at an extraordinary party conference on October 18, 2008. In the meantime Frank-Walter Steinmeier serves as provisional chairman. During the Schröder administration, Schröder and Lafontaine disliked each other, because Lafontaine quit as Finance Minister in 1999. After his resignation there was a huge distrust of Lafontaine in the SPD which lasts to today. However, due to the rise of Angela Merkel and Guido Westerwelle on the national stage of politics in 2005 and a belief in the German public of the failed social policies of the SPD on labour issues (Hartz IV), the SPD lost heavily in opinion polls and lost a couple of statewide elections. So there was the urgency to form new coalitions with the Left who have a similar political agenda than the weakened Green Party or the other conservative parties in Germany. However the leader of the Left was the lost child of the SPD - Oskar Lafontaine - who had fallen out with the SPD. There is a common oath in the SPD not to form coalitions with the Left, because of Lafontaine. So, a state leader of the SPD - Andrea Ypsilanti - choose to form a minority coalition with the Left in Hesse after a lost state election in January 2008. This decision was heavily criticized by national leaders of the SPD. But the leader at that time - Kurt Beck - was for the coalition in Hesse and supported Ypsilanti. Beck who is a popular minister-president has lost a lot reputation on a national level because of the support. At an emergency session of leaders of the SPD, Kurt Beck resigned the chairmanship of the SPD, because after 8 months there was no coalition and Beck was criticized for supporting Ypsilanti. In November 2008, the Landtag in Hesse was dissolved and there will be new elections in January 2009. But several other state leaders of SPD have started flirting with the "Left" and today there is a huge struggle in the SPD on how to treat the Left in order to gain Bundesrat seats to be once again a true national party. In November 2008, the SPD was at 25% in national opinion polls, one of the lowest values in recent memory. Furthermore, today in the SPD there is rift between two internal factions of the party. One side of the party - the right-wing Seeheimer Kreis refuses to do coalitions with the Left Party. Members of the right-wing include Frank-Walter Steinmeier and Gerhard Schröder. The other side of the party - the political left of the SPD - embraces coalitions with the radical Left. Members include Andrea Ypsilanti and Andrea Nahles. Also a reason for today's struggle with the Left is that the SPD is currently itself in a national coalition with the conservative coalition. So the SPD is in a dual struggle. At first the struggle for not endangering the national coalition with Merkel and therefore endangering a national political crisis that maybe result in further losses for the SPD. And secondly the struggle for not forgetting the roots where the SPD came from, because the SPD itself is left party, whose political positions have been eaten by the Left party. So the SPD has to position itself again. After the coalition talks completed in February 2018, the party held a vote to let its members decide about the new coalition treaty with the CDU and CSU parties. Of all 378.437 members that took part in the vote, 66,02 % (239.604) of members voted for the new coalition treaty while 33,98 % (123.329) of members voted against it, resulting in another grand coalition with the CDU/CSU. Otto Grotewohl 1945–1946 Chairman of a Central Committee claiming national authority, chairman of the SPD in the Soviet zone, merged with the Eastern KPD to form the SED in 1946. Kurt Schumacher 1945–1946 chairman of the SPD in the British zone, resisting Grotewohl's claims and implementing the formation of the SPD in West Germany. ^ "Germany - Political Parties". country-data.com. Retrieved 2017-03-03. ^ Joseph A. Biesinger (1 January 2006). Germany: A Reference Guide from the Renaissance to the Present. Infobase Publishing. pp. 755–. ISBN 978-0-8160-7471-6. ^ Jennifer Striewski (Bonn) (8 March 2013). "Marie Juchacz (1879-1956), Begründerin der Arbeiterwohlfahrt". Landschaftsverband Rheinland (LVR), Cologne. Retrieved 2014-11-11. ^ Dieter Groh, "The 'Unpatriotic Socialists' and the State." Journal of Contemporary History 1.4 (1966): 151-177. online. ^ Moeller, R.G. (1997). West Germany Under Construction: Politics, Society, and Culture in the Adenauer Era. University of Michigan Press. p. 94. ISBN 9780472066483. Retrieved 2017-03-03. ^ Higonnet, M.R. (1987). Behind the Lines: Gender and the Two World Wars. Yale University Press. p. 134. ISBN 9780300044294. Retrieved 2017-03-03. ^ Lutz, R.H. (1922). The German Revolution, 1918-1919. The University. p. 101. ISBN 9780722223901. Retrieved 2017-03-03. ^ "The American labor legislation review. v.10-11 1920-21. - Full View | HathiTrust Digital Library | HathiTrust Digital Library". babel.hathitrust.org. Retrieved 2017-03-03. ^ Dickinson, E.R. (1996). The Politics of German Child Welfare from the Empire to the Federal Republic. Harvard University Press. p. 144. ISBN 9780674688629. Retrieved 2017-03-03. ^ Dickinson, E.R. (1996). The Politics of German Child Welfare from the Empire to the Federal Republic. Harvard University Press. p. 147. ISBN 9780674688629. Retrieved 2017-03-03. ^ Usborne, C. (1992). The Politics of the Body in Weimar Germany: Women’s Reproductive Rights and Duties. Palgrave Macmillan UK. p. 47. ISBN 9781349122448. Retrieved 2017-03-03. ^ "The Teenagers' Revolution: SchÃ¼lerrÃ¤te in the Democratization and Right-Wing Radicalization of Germany, 1918â€"1923". connection.ebscohost.com. Retrieved 2017-03-03. ^ Carr, William (1991). A History of Germany: 1815-1990 (4th ed.). United Kingdom: Hodder & Stoughton. pp. 369–370. ^ "Germany - Social Democratic Party of Germany". country-data.com. Retrieved 2017-03-03. ^ a b c "Germany - The Economic Miracle and Beyond". countrystudies.us. Retrieved 2017-03-03. ^ Leisering, L.; Leibfried, S. (2001). Time and Poverty in Western Welfare States: United Germany in Perspective. Cambridge University Press. p. 185. ISBN 9780521003520. Retrieved 2017-03-03. ^ "Dreizehn Jahre geliehene Macht - DER SPIEGEL 43/1982". spiegel.de. Retrieved 2017-03-03. ^ "Dreizehn Jahre geliehene Macht - DER SPIEGEL 45/1982". spiegel.de. Retrieved 2017-03-03. ^ "Dreizehn Jahre geliehene Macht - DER SPIEGEL 44/1982". spiegel.de. Retrieved 2017-03-03. ^ Flüchter, W. (1995). Japan and Central Europe Restructuring: Geographical Aspects of Socio-economic, Urban, and Regional Development. Harrassowitz. p. 150. ISBN 9783447035316. Retrieved 2017-03-03. ^ Burgers, J. (2004). How to Make Successful Urban Development Programme: Experience from Nine European Countries. Garant. p. 100. ISBN 9789044113938. Retrieved 2017-03-03. ^ A History of West Germany Volume 2: Democracy and its discontents 1963–1988 by Dennis L. Bark and David R. Gress. ^ Companje, K.P. ; Veraghtert, K.; Widdershoven, B. (2009). Two Centuries of Solidarity: German, Belgian, and Dutch Social Health Care Insurance 1770-2008. Aksant. p. 210. ISBN 9789052603445. Retrieved 2017-03-03. ^ Picot, G. (2013). Politics of Segmentation: Party Competition and Social Protection in Europe. Taylor & Francis. p. 58. ISBN 9781136476822. Retrieved 2017-03-03. ^ "Development of the Health Care System in Germany". germanculture.com.ua. Retrieved 2017-03-03. ^ Campbell, D. (2013). International Handbook on Comparative Business Law. Springer Netherlands. ISBN 9789401743990. Retrieved 2017-03-03. ^ Can Germany Be Saved? : The Malaise of the World's First Welfare State – Hans-Werner Sinn. Google Books. 2007. ISBN 9780262195584. Retrieved 2012-11-14. ^ "Wahlprogramm der SPD : mit Willy Brandt fur Frieden, Sicherheit und eine bessere Qualitat des Lebens : Sozialdemokratischen Partei Deutschlands : Free Download & Streaming : Internet Archive". archive.org. Retrieved 2017-03-03. ^ Winkler, H.A. ; Sager, A. (2007). Germany: The Long Road West: Volume 1: 1789-1933. OUP Oxford. ISBN 9780191500619. Retrieved 2017-03-03. ^ "Subscriber Login | Southern Public Administration Education Foundation". spaef.com. Retrieved 2017-03-03. ^ "IZPB | bpb" (in German). Bpb.de. Retrieved 2012-11-14. ^ Shaffer, H.G. (2013). Women in the Two Germanies: A Comparative Study of A Socialist and a Non-Socialist Society. Elsevier Science. p. 17. ISBN 9781483153360. Retrieved 2017-03-03. ^ Allemann-Ghionda, C.; Hagemann, K.; Jarausch, K.H. (2011). Children, Families, and States: Time Policies of Childcare, Preschool, and Primary Education in Europe. Berghahn Books. p. 280. ISBN 9780857450975. Retrieved 2017-03-03. ^ Baker, M. (1995). Canadian Family Policies: Cross-national Comparisons. University of Toronto Press. p. 215. ISBN 9780802077868. Retrieved 2017-03-03. ^ "Work-Sharing Initiatives at Home and Abroad 100 Monthly Labor Review 1977". heinonline.org. Retrieved 2017-03-03. ^ George, V.; Lawson, R. (1980). Poverty and Inequality in Common Market Countries. Routledge & Kegan Paul. p. 223. ISBN 9780710005175. Retrieved 2017-03-03. ^ "OUCLF: articles: Tobias Schrank (2011)". ouclf.iuscomp.org. Retrieved 2017-03-03. ^ rpaeche. "Ergebnis Mitgliedervotum 2018". SPD Berlin (in German). Retrieved 2019-02-04. ^ Oltermann, Philip (2018-03-04). "Merkel secures fourth term in power after SPD backs coalition deal". The Guardian. ISSN 0261-3077. Retrieved 2019-02-04. Bark, Dennis L. and David R. Gress. A History of West Germany (2 vol. 1989). Bonnell, Andrew G. "Oligarchy in Miniature? Robert Michels and the Marburg Branch of the German Social Democratic Party." German History 29.1 (2011): 23-35. Breitman, Richard. German socialism and Weimar democracy (1981). Callahan, Kevin J. Demonstration culture: European socialism and the Second International, 1889-1914 (2010). Evans, Richard J. Proletarians and politics: socialism, protest and the working class in Germany before the First World War (1990). Guenther, Katja. Making Their Place: Feminism After Socialism in Eastern Germany (2010). Lidtke, Vernon L. Outlawed Party: Social Democracy in Germany (2015). Oswald, Franz. The party that came out of the Cold War: the Party of Democratic Socialism in United Germany (2002). Rüdig, Wolfgang. "Eco‐socialism: Left environmentalism in West Germany." New Political Science (1985) 6#1 pp: 3-37.